CFO Jimmy Patronis wants new regulations for wireless companies after Hurricane Michael. Florida Chief Financial Officer Jimmy Patronis wants wireless networks to be better prepared for disasters. 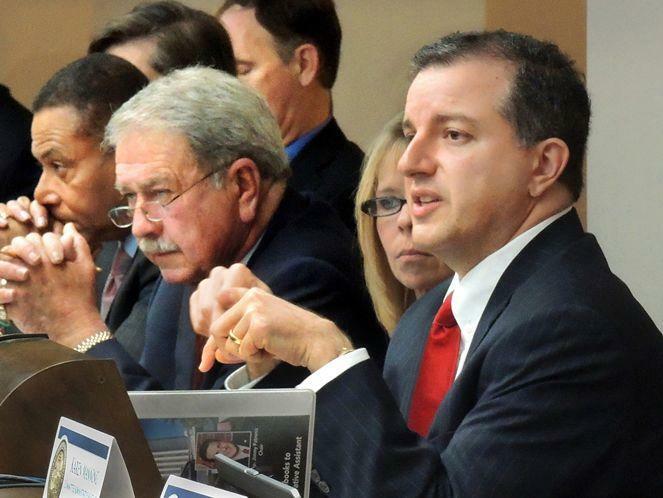 Patronis is calling on the Federal Communications Commission to enact new regulations. Patronis calls on FCC Chairman Ajit Pai to adopt new rules for telecommunication companies. He suggests new infrastructure standards to prevent extend downtime and opening roaming agreements between carriers. A number of officials have complained about wireless failures after Hurricane Michael. Governor Rick Scott, along with Patronis, have singled out Verizon for its slow recovery. Verizon is giving three months of free service to customers in Bay, Gulf, Calhoun, Franklin, Holmes, Jackson, Liberty, Wakulla and Washington counties. On top of red tide and blue green algae, Hurricane Michael is compounding to fears in Florida’s tourism industry. Florida’s Department of Agriculture says about $1.3 billion worth of timber has been damaged by Hurricane Michael. That loss is spread over three million acres of forest.